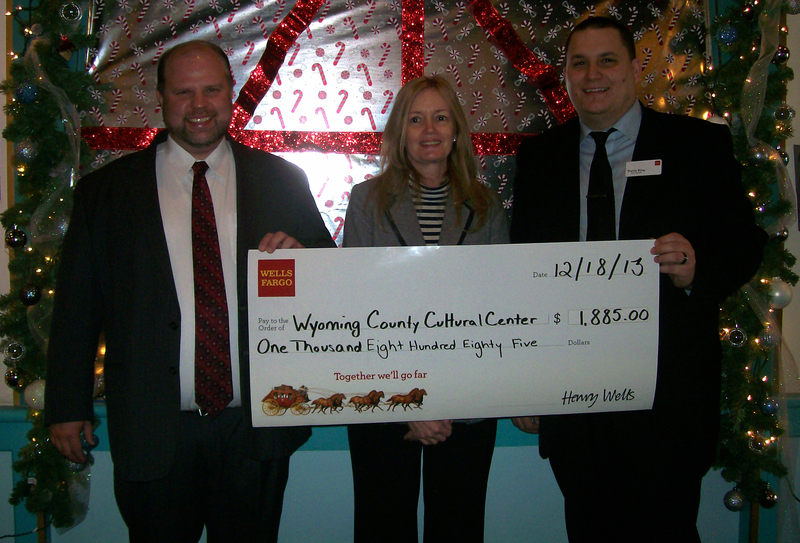 Wells Fargo district manager Paul Story (left) and Tunkhannock store manager Travis King (right) recently presented Dietrich Theater executive director Jennifer Jenkins with a grant for $1,885 in support of the theater’s After-School Theatre Arts program. Classes begin on Wednesday, Jan. 8 for the program, which provides middle and high school students with a hands-on theater experience and the opportunity to prepare for and perform in a live theater production. The free program will be run from 3:30 to 5:30 pm on Wednesdays and Thursdays through Feb. 27. Dietrich Theater Executive Director Jennifer Jenkins conducts the afternoon sessions, during which students will learn about movement, lighting, and sound. The theme is “A Night in Paris.” The show will be presented on Saturday, March 1. To register, interested readers can call 570-996-1500.